Obtain a prescribed Application Form and Information Brochure of VSOM from the Office of VSOM by making payment of Rs. 500/- in cash or by Bank Draft of Rs. 550/- drawn in favour of “Vishisht School of Management” payable at Indore. Fill in the form completely and send it with enclosures to Director, VSOM. Alternatively, you can download the Application Format given at Website (www.vsom.in) on A-4 Size Plain Paper. Send this application dully filled along with enclosures and Bank Draft of Rs. 550/- favoring “Vishisht School of Management” payable at Indore. This procedure will save time. After scrutiny of the application, if you are found eligible for admission, a letter of intimation will be sent to you informing about the Total Fee to be deposited by you up to a particular date and the documents, if any, to be submitted. Please send the fee by Bank Draft favouring “Vishisht School of Management” payable at Indore or deposit the fee in cash in VSOM office. 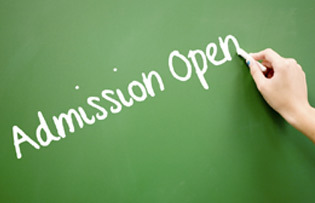 All admissions are done on first-come-first served basis. Hence, send your application and fee at your earliest to ensure admission. Cheques are not accepted against fee. As soon as your fee and documents are received in VSOM Office a letter of confirmation will be sent to you along with the Receipt for DD, information about start of Classes and Transportation Facility etc. Start attending the classes as per Time Table. Fine will impose in case of absenteeism. All admissions are done on the basis of marks secured in qualifying examination passed by the applicants. All seats are general type – no classification like Free or Payment seat. Decision of Principal/Director – VSOM in all matters shall be final. Admissions are open for both Boys and Girls from any part of India. This is multi-disciplinary course and hence student from any discipline (Arts, Commerce, Science, Law, Pharmacy, Engineering, Computers, and Management etc.) can take admission. Fee once paid will not be refunded under any circumstances. Rules of Department of Higher Education, Government of Madhya Pradesh and Devi Ahilya University will applicable for admission and other concerned matters.